NEW CONSTRUCTION! 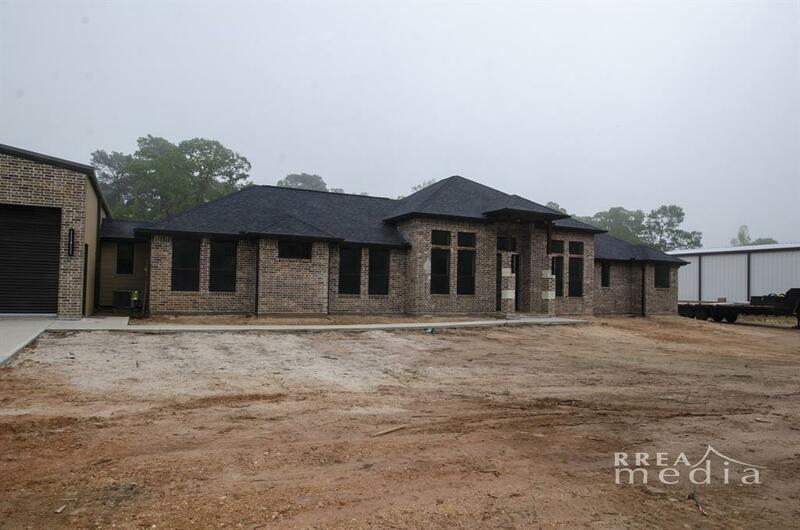 Home is in the final phase of completion. See the new pictures. 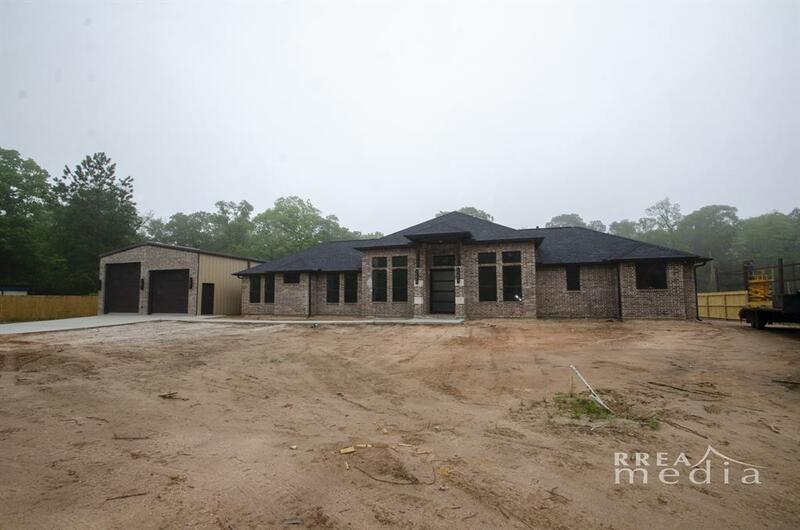 Picture this Driving home to a 2.83 acre lot with a HAND CRAFTED decorative steel entry gate leading to a Beautiful New 4 bedroom, (2 are master bedrooms) & Formal dining room. Private Office. 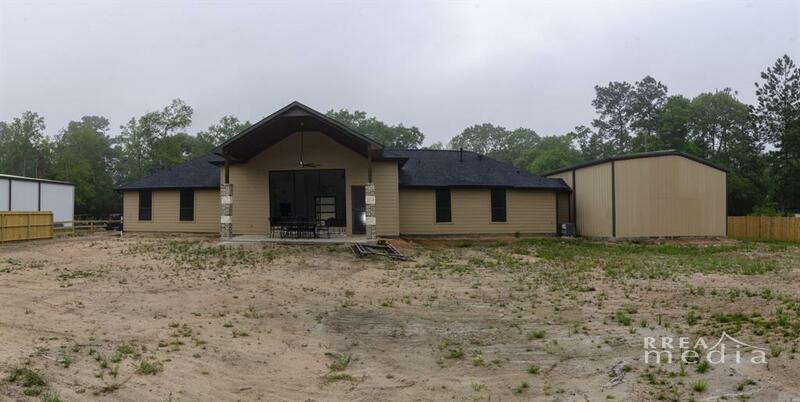 BUILDER DESIGNED Home by FX Design in Southern Pines! This affordable home offers high-end amenities with HAND CRAFTED wood cabinets, Quartz countertops, tile, wood, and carpet floors. CUSTOM DESIGNED AND MANUFACTURED LIGHTING PACKAGE. Only A & B lumber throughout the home yielding a solid home. Plumbing Manifold mounted in Wash Room. Energy efficient stainless appliances, nickel hardware. Workshop enthusiasts check this out a 45 x 30 attached steel 4-car garage/workshop! No restriction or HOA. Has Septic system & well. Ask about the 3 upgrade packages:Outdoor Kitchen Package, Pool Package, Circle Drive Package.The builder will build on privately owned lots.